I have covered 7 of the above 8 in prior blog entries. Today we shall see another important tool that is quite commonly used for managing the metadata of Oracle EPM products like Planning, Financial Management & Profitability and Cost Management. This tool called as Enterprise Performance Management Architect or EPMA provides a uniform platform for metadata management across most of the Hyperion components. Apart from its capabilities, one strange aspect to this product is the fact that it depends on IIS to web enable itself. So, you would need a mandatory windows server to host this. When i started using this a couple of months back, my initial impressions were far from impressive. I am not sure whether it was because of my environment or because of the product itself. Whenever EPMA was started, it seemed to be consuming the entire memory(more than the memory occupied by SGA of Oracle and the Essbase Kernel). Having said that, its features(and also the concept of common metadata management) are really good and of course with more usage i am starting to like this more and more. Today we shall see what it takes to setup EPMA to manage Essbase Applications/Outlines. Just remember the fact that EPMA was never designed to do individual application(Essbase, Planning etc) level administration. That is meant for the respective product administration tools. EPMA is meant for managing the metadata like dimensions, hierarchies, data loads across product sets etc. So, in effect it is like ODI or Hyperion DIM but with more product specific multi-dimensional features thrown in. So, if you are managing Planning, Essbase and HFM (or any of these 2) in your organization EPMA could be a good fit when you want to use a single tool for managing the common dimensions, data loads etc. To use EPMA for managing Essbase specific application outline members, ensure that you are using Essbase in external mode i.e shared services security should be used. By default when you install EPM in windows, Essbase will be installed with SSO configured against shared services. SSO is not sufficient to use EPMA against Essbase. Ensure that you convert Essbase from local authentication to External authentication. That is done by externalizing the users from Essbase Administration Services. 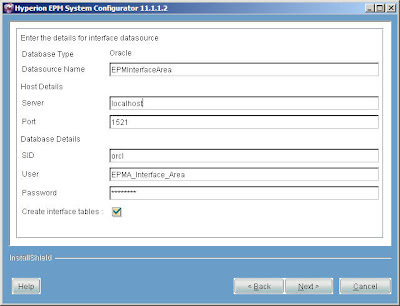 Once that is done, the next step is to create a data source for the interface tables using the EPM Configurator. These interface tables are used for importing the pre-defined common dimension types that are available across EPMA. The idea is to have custom members defined in these interface tables and then import them into EPMA. This step is needed only if you have pre-defined members defined in the interface tables. If you are starting from scratch then this is not needed. 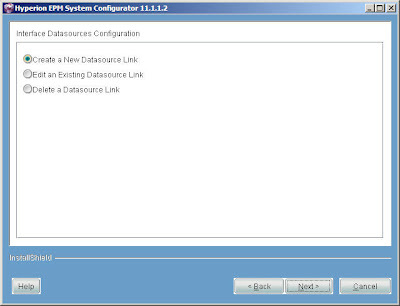 Once the data source is created, log into EPMA and go to Application Library. 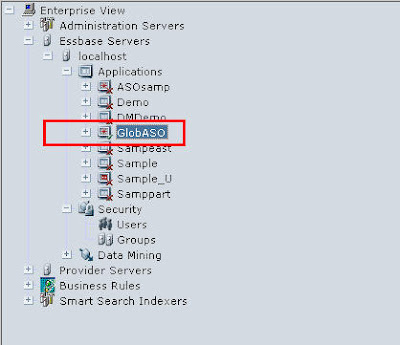 Then create a new Essbase (ASO) application. After this step, go to shared services and ensure that the user with which you have logged in as has the necessary privileges to access Essbase. Basically one would need application and database administrator privileges. 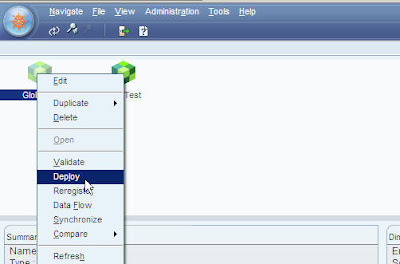 Then you can deploy this application directly from EPMA to Essbase. The major drawback with this is that this does not provide any restructuring options when data is loaded into a deployed cube. 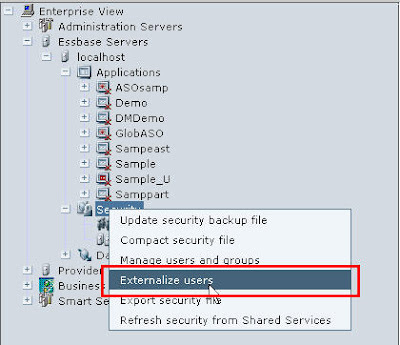 Also, one should not be changing the application directly within Essbase using EAS. Then the sync between EPMA and Essbase would be lost and all changes would be over-written when the sync is done from EPMA again. 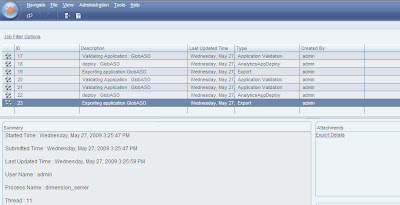 Typically EPMA is not recommended for Essbase applications. 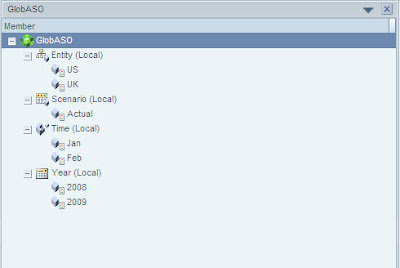 It is very good for managing Planning and HFM metadata. One can use shared dimensions wherein the same dimension can be reused across applications.This should give you an idea of how EPMA works. I would go into details of how one can do data synchronization across applications using EPMA in the coming blog entries.